In a large saucepan, combine all ingredients and cook on medium-low heat, covered, for 30 minutes. Uncover and stir; cover again, and cook for approximately 1 hour over low heat, stirring occasionally. The applesauce is done when the apples begin to break apart when stirred. Remove the orange peel from the applesauce and discard. Stir the apples thoroughly and serve warm. 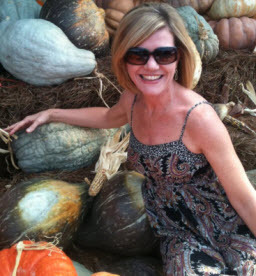 Gluten Free Gigi Tips: For added flavor, choose 2 or 3 different types of apples. Some of my favorite varieties for applesauce are Granny Smith, Rome, Honeycrisp, Fuji, and Macintosh. Use the peeled orange in a salad – simply section, slice & toss with your favorite greens and vinaigrette. 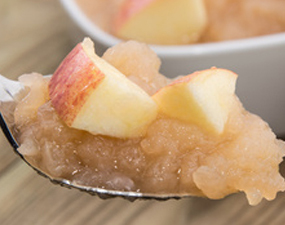 Naturally gluten free and perfect for your special diet, you won’t want to purchase store-bought applesauce again! Try using my version alongside pork loin or chicken, or as a topping for gluten free pancakes instead of maple syrup! If you have an abundance of apples, double (or even triple) this recipe. Enjoy!